Looking For The Best Litter Box For Cats That Kick Litter? Here’s a look at our favorites, including our top pick – Modkat Flip Litter Box Kit. Kicking litter outside of the litter box is a common problem for most cats. We have three cats ourselves, and almost each one of them is notorious for kicking litter outside of the box. There’s a simple solution though really, and it’s top entry litter boxes, and also litter boxes with higher entry points and a deeper bottom. We wanted to list litter boxes that still had some of the amenities of side entry litter boxes, but your cats litter won’t escape. For example, we love our litter box that we can tilt on the side, and all the litter and poop sorts itself out, making liter box cleaning day much easier. There are so many options for litter boxes out there that it can be extremely overwhelming. That’s why we’ve narrowed it down to some of the most affordable and effective on the market. The Modkat Flip Litter Box Kit Includes Scoop and Reusable Tarp Liner is another side entry option that should keep most, if not all the litter inside the litter box. 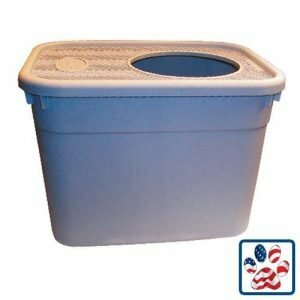 The Flip Litter Box Kit Includes Scoop and Reusable Tarp Liner is designed with tall walls, and a tall entry point to keep any flying litter contained within the litter box. 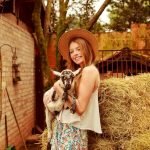 Modko simply makes beautiful litter boxes, their brand costs a little bit more money, but if you’re trying to keep your house looking stylish then Modko is the way to go. Next up is the Modkat Litter Box Kit Includes Scoop and Reusable Liner. 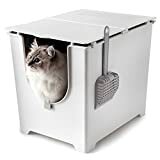 Even though this litter box is a little more expensive than the other options, it’s perfect for someone with a bigger budget who wants their litter box to match the rest of their home. 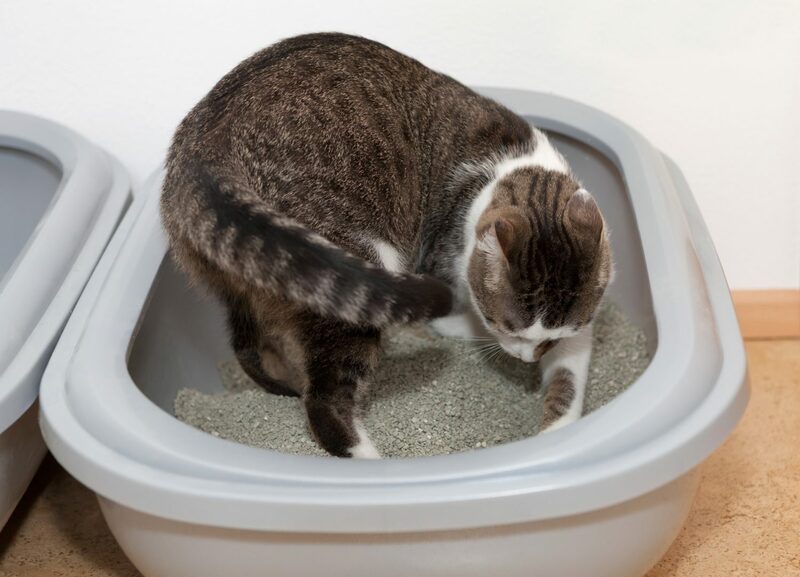 The Clevercat Top Entry Litterbox is a great choice for clever cats. We have one cat in particular who likes to kick litter all over the room, which is why we’ve invested in such a nice vacuum. However, there is a solution. 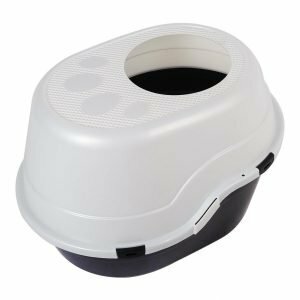 The Clevercat Top Entry Litterbox, and it just happens to be one of the more affordable options for cats that kick litter. 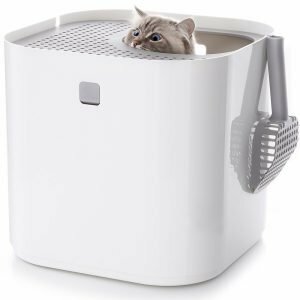 The Favorite 25″ Large Top Entry Enclosed Hooded Cat Litter Box is the perfect litter box for those cat owners who have more than one cat. 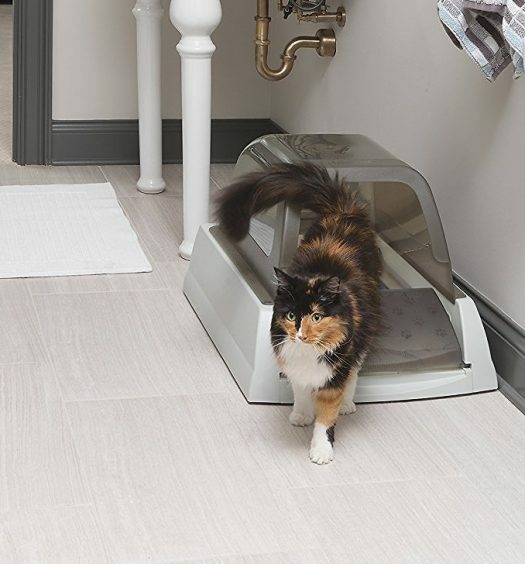 The large size of this top entry litter box makes sure you won’t have to empty the contents every single day. 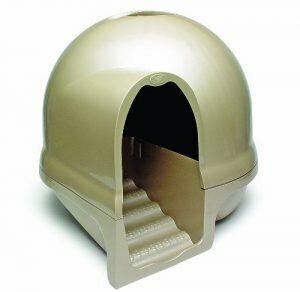 The Petmate Clean Step Litter Dome may not be as effective as a top entry litter box, but no one knows your cat better than you, and if you think your cat would prefer a side entry then this is the box for you. The built in steps and small barrier should keep most if not all the litter inside the box. The steps are also designed to clean your cat’s feet on their way out of the litter box. Constantly cleaning up scattered litter in your living room or bedroom can quickly become a nuisance. That’s why we’ve curated the five best litter boxes for cats that kick litter, and we sincerely hope that our list has solved your headache.